When the first SpeedBooster of Metabeones appeared almost exactly 5 years ago, we at slashCAM already suspected that this is not a flash in the pan, but a bigger thing. And indeed, Metabones has managed to win a regular place in the workflow of many filmmakers with various SpeedBooster models. But whoever wants to extend a very cheap camera with such a focal reducer stumbles over the not inconsiderable price. Thus, an original SpeedBooster can quickly exceed the costs of an inexpensive MFT camera. The idea of a focal reducer, however, was not so new 5 years ago that imitators could be dissuaded by patents. And so in the last few years, numerous SpeedBooster clones have been found, which stand out above all because of their low price. In terms of image quality (and electronic lens support), however, the original SpeedBoosters are still considered the untouched number 1. 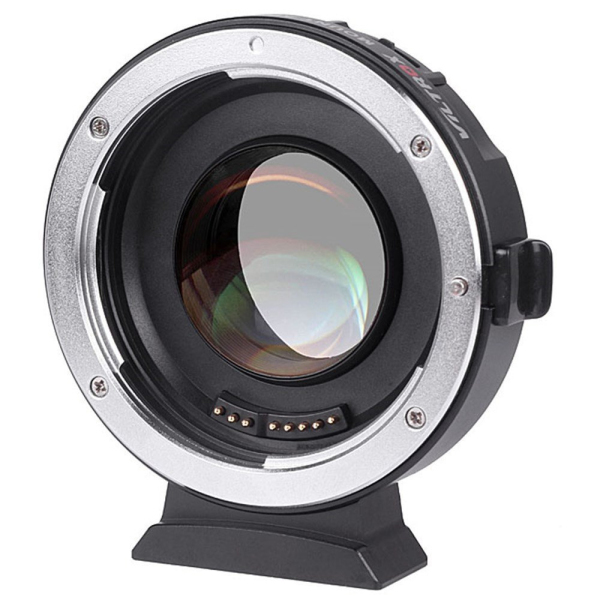 However, the Viltrox EF-M2 adapter has been making a name for itself for a few weeks now, both in terms of active lens support and optical imaging performance. And all this at an introductory price of just 160 US dollars. And secondly, a longer blog review from Jim Chung, which even has MFT charts for comparison. Currently the hype around the new adapter seems to have surprised even Viltrox itself, because at the moment the EF-M2 is practically nowhere else available (or only at much higher prices).